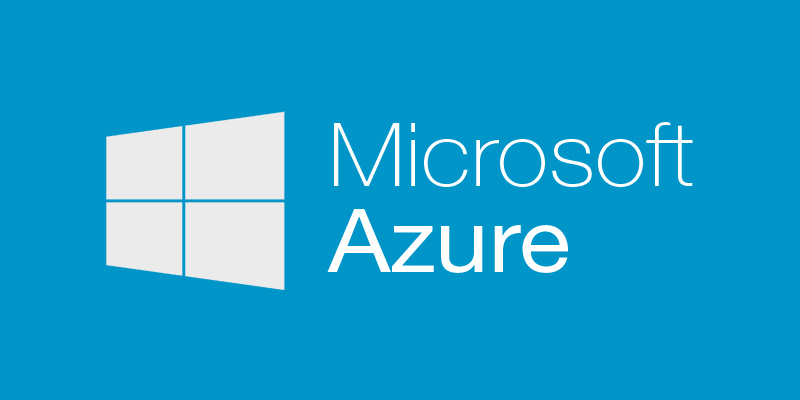 Azure driver allows you to integrate with Microsoft Azure Virtual Machines service using the Azure Service Management (ASM) API. This is the “Classic” API, please note that it is incompatible with the newer Azure Resource Management (ARM) API, which is provideb by the azure_arm driver. Azure Virtual Machine service allows you to launch Windows and Linux virtual servers in many datacenters across the world. 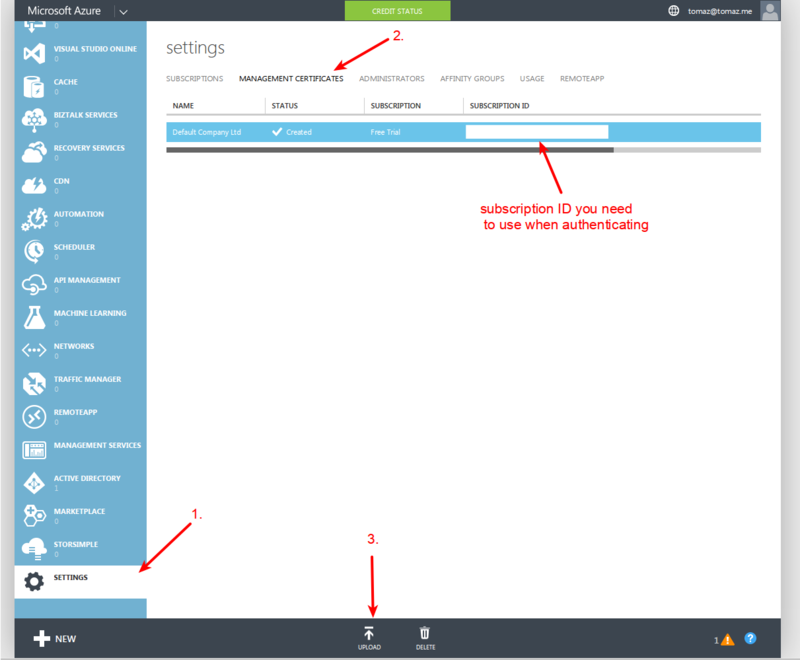 To connect to Azure you need your subscription ID and certificate file. To be able to connect to the Azure, you need to generate a X.509 certificate which is used to authenticate yourself and upload it to the Azure Management Portal. For information on how to generate certificate on Windows, see Create and Upload a Management Certificate for Azure page. Once you have generated the certificate, go to the Azure Management Portal and click Settings -> Management Certificate -> Upload as shown on the screenshot below. In the upload Windows, select the generated .cer file (azure_cert.cer). Once you have generated the certificate file and obtained your subscription ID you can instantiate the driver as shown below. 3389/TCP - RDP - 1st Microsoft instance. RANDOM/TCP - RDP - All succeeding Microsoft instances. RANDOM/TCP - SSH - All succeeding Linux instances. _get_endpoint_ports(service_name) Returns public,private port key pair. ex_cloud_service_name (str) – Required. Name of the Azure Cloud Service. ex_storage_service_name (str) – Optional: Name of the Azure Storage Service. ex_new_deployment (boolean) – Optional. Tells azure to create a new deployment rather than add to an existing one. ex_deployment_slot (str) – Optional: Valid values: production| staging. Defaults to production. ex_deployment_name (str) – Optional. The name of the deployment. If this is not passed in we default to using the Cloud Service name. ex_custom_data (str) – Optional script or other data which is injected into the VM when it’s beginning provisioned. ex_admin_user_id (str) – Optional. Defaults to ‘azureuser’. ex_virtual_network_name (str) – Optional. If this is not passed in no virtual network is used. This removes the instance, but does not remove the disk. You will need to use destroy_volume. Azure sometimes has an issue where it will hold onto a blob lease for an extended amount of time. ex_deployment_slot (str) – Optional: The name of the deployment slot. If this is not passed in we default to production. description (str) – (Optional) Description of storage service. affinity_group (str) – (Optional) Azure affinity group. extended_properties (dict) – (Optional) Additional configuration options support by Azure. name (str) – Name of the cloud service to destroy. Destroy storage service. Storage service must not have any active blobs. Sometimes Azure likes to hold onto volumes after they are deleted for an inordinate amount of time, so sleep before calling this method after volume deletion. name (str) – Name of storage service. ex_cloud_service_name parameter is used to scope the request to a specific Cloud Service. This is a required parameter as nodes cannot exist outside of a Cloud Service nor be shared between a Cloud Service within Azure. Lists volumes of the disks in the image repository that are associated with the specified subscription. Pass Node object to scope the list of volumes to a single instance.